Big chunky jewelry is all the rage for the spring and the bigger the piece the better! We would suggest you pick out your favorite chunky necklace and pair it with a sold feminine-cut solid colored shirt, so the dramatic look of a big piece of jewelry does not compete with patterned clothing to create a much too busy look! Also look for the color turquoise to be strong in fashion jewelry as well. Stop by either Ivy Ridge locations early for the best selection. New Pandora Shipment Just In! I grew in the Mt. Zion community in Ferguson, NC, and was blessed with a dear lady as a friend and caregiver, Mrs. Flossie Triplett. I would go to her house after school and she was like a grandmother to me. Every Easter she would make her two grandchildren an Easter bunny cake just like the one pictured above. I remember the first Easter when I came over to her house and there were three Easter bunny cakes on the table. The third one was mine! I must have been 4 or 5 years old. Seeing this photograph brings back very comforting memories of my time with Mrs. Flossie. She is not longer with us, however the Easter memories of my special cake are still in my heart. 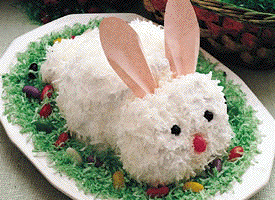 Click here for instructions for Betty Crocker's Easter Bunny Cake This would be a great activity to make for or with the special children in your life. Win a Vera Bradley Lanyard! Take a look! Post your favorite Vera Bradley color of the 4 new patterns on our Facebook wall and you will be entered into a chance to win a Vera Bradley lanyard in the favorite fabric you posted. The new fabric are shown above and the names from top to bottom of the picture are: Call Me Coral, Simply Violet, Night and Day and Make Me Blush! Honestly, this is the best Vera Bradley release in several years! 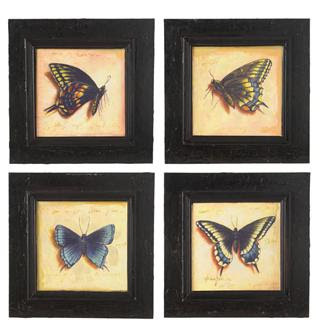 Please stop by to see everything in person. New Vera Bradley in Stores Now! 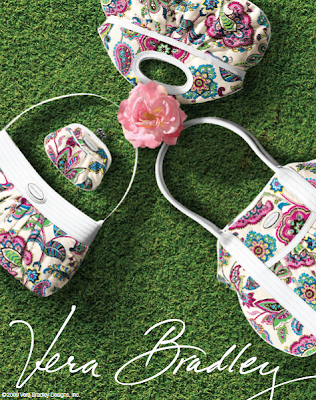 New Vera Bradley Summer styles and colors have arrived at both Ivy Ridge locations. Stop by to see Make Me Blush, Color Me Coral, Night and Day & Simply Violet and 3 new bag styles! First Annual Spring Open House! Please help us spread the word! We are celebrating Spring! 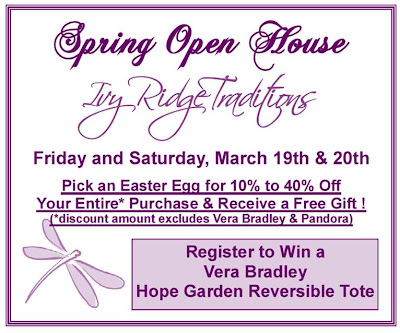 Stop by both Ivy Ridge locations and everyone who makes a purchase gets to pick an egg for a total purchase discount, as well as a sweet spring-themed gift. Don't miss the opportunity to register to win a Hope Garden Reversible Tote (a perfect Easter bag) at each location. Please note our Pick an Easter Egg Discount does not apply to Vera Bradley or Pandora Jewelry due to our retailer agreements with both companies. 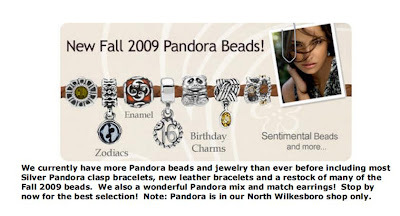 We got our first Silver Dealer shipment from Pandora this week at our North Wilkesboro location! Many silver and two-tone beads are now in stock! We still have not received our regular silver Pandora-clasp bracelets, however they are still on backorder and we hope they will be arriving soon! 1. Working on the computer causes you to blink less and squint, therefore your eyes can burn, feel dry or irritated. It is simple-blinking lubricates your eyes so blink more. Also you should dim overhead lights to minimize any glare, therefore less squinting. 2. Adjust your screen to ease your eyes. Make fonts bigger. Adjust the brightness of the screen to the same light as your room. LCD flat screen monitors are the easiest on the eyes. So everyone here we go....blink, blink, blink, blink, blink for healthier eyes! 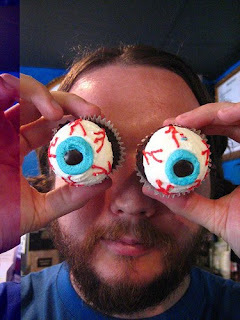 FUN LINK TO EYEBALL FOOD-THE SOURCE OF MY PHOTO! You can enjoy eyeball food all year long-forget about Halloween. This would be a fun surprise at the family dinner table in March! Cupcakes Pink and Cupcakes Green now 40% Off! Yes, Cupcakes Pink and Cupcakes Green are retiring, so stop to shop early for the best selection at 40% off! I really want everyone to read this blog and this blog only, but I know it is to much to ask. So I want to share the blog, Gourmet Mom on-the-Go. I stumbled upon this neat blog. I only wish I would have found this when my children were younger. Honestly, I am going to make a few of these treats as a surprise for my teenagers. You can never get enough fun! Ok, a few of us need a little help reading the fine print. Right? 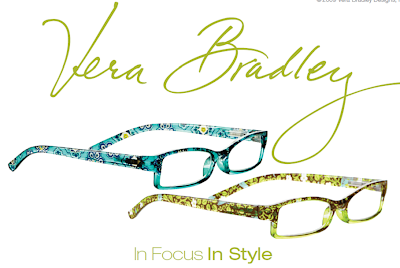 So why not do it in style with new Vera Bradley readers! Currently available at our North Wilkesboro location. NW Ivy Ridge Moving Up to Pandora Silver Dealer! 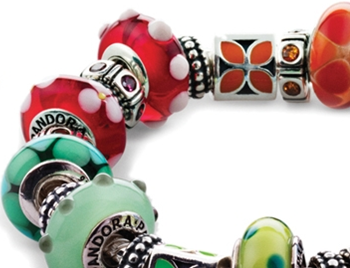 As many of our Pandora customers know we have had a lot of backorders and a difficult time receiving new bead releases in a timely manner. Well, we are making the change from a White Dealer to a Silver Dealer beginning in mid March. Over the next several weeks, we will receive regular orders increasing our Pandora inventory, as well as a lot of new Pandora Jewelry that only Silver and Gold Dealers can carry such as the Mix and Match Earrings pictured above. 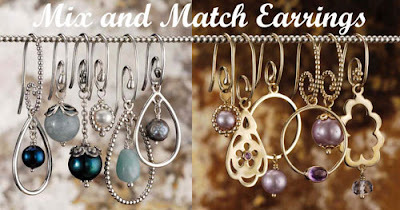 Look for additional match jewelry with new necklace, ring, and earring additions. Peek A Boo with Taggies! There has never been a better baby gift than a Taggie! 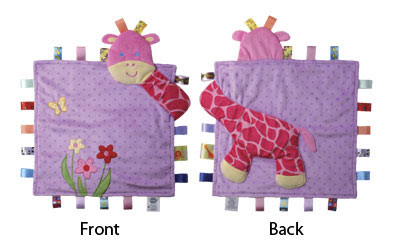 A new shipment just arrived with all kinds of Taggie items with our favorite being the Peek-A-Boo Blanket, shown in our cute girlie style, but we have not left out the boys with a Peek-A-Boo Blanket in a dog theme. Currently available in both Ivy Ridge locations. We now currently test marketing a new design in our monogrammed jewelry in our North Wilkesboro shop. 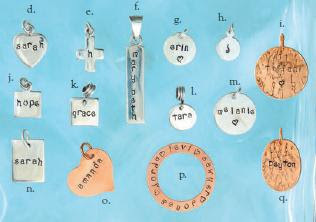 Each piece is handstamped for a casual feel. Retail prices range from $22 to $30. We place our monogrammed order every Monday and they arrive by Thursday, so there is a quick turn around for gift giving. 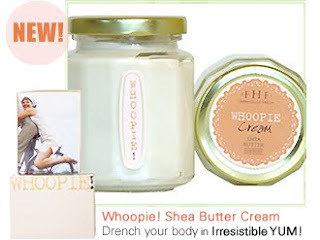 This brand new Shea Butter whip is a jar full of joy lighted scented fond memories of white velvet cream and moist layer cake. Fondly, names after the famous Whoopie Pies-a creamy cake-like delight which farmers would yell, "Whoopie" after discovering in their lunch boxes. The supple butters and Vitaman E packed Jojoba and Soybean oils calem even the driest of skin. 10 ounces of goodness! Currently available at both Ivy Ridge locations. Say No to Snow & Yes to Spring! A ton of spring items have arrived! 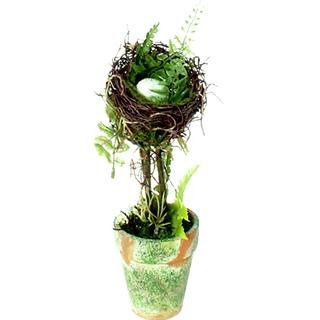 We have dragonflies, butterflies, birds, topiaries, nests and rabbits. All the wonderful things that bring spring alive can add a spring touch inside during these chilly times! Comment on Our Facebook Wall & You Could Win a $25.00 GC! 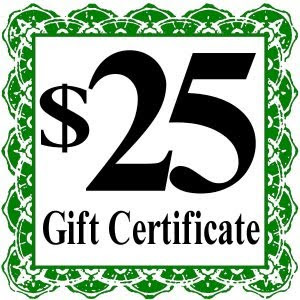 Yes, if you comment on our Ivy Ridge Facebook page within the next week (March 3rd-10th), you could be the winner of a $25.00 Gift Certificate to redeem at either Ivy Ridge location. All names will be placed in a drawing and a name picked on March 11th. We want to hear from you! 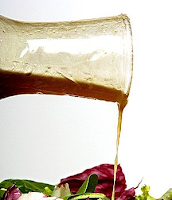 I am making an effort to keep at least one homemade salad dressing in my frig. This recipe is by far my favorite dressing I have ever made. Everyone is my family loves it! This is one I felt was a sure winner to share. Combine mustard and basil in a small bowl. With a whisk, add vingar, maple syrup, lemon juice and garlic. Add olive oil and continue whisking until ingredients are well combined. Season with salt and pepper. Refrigerated, the dressing will keep for several weeks. Sun & Sand Time is at Hand! 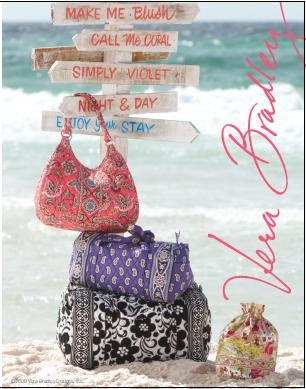 With summer beaches in mind, the Sun & Sand Collection from Vera Bradley makes a perfect companion to any spring and summer wardrobe. One of the stars in this collection is a wonderful tote to carry all your beach and pool needs in style! Currently, available at both Ivy Ridge locations. 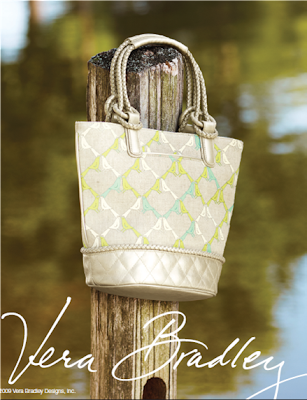 Introducing the new Palm Beach Collection from Vera Bradley. The fabric is a burst of spring colors, just in time to encourage warm weather to grace North Carolina! Now available at both Ivy Ridge locations.